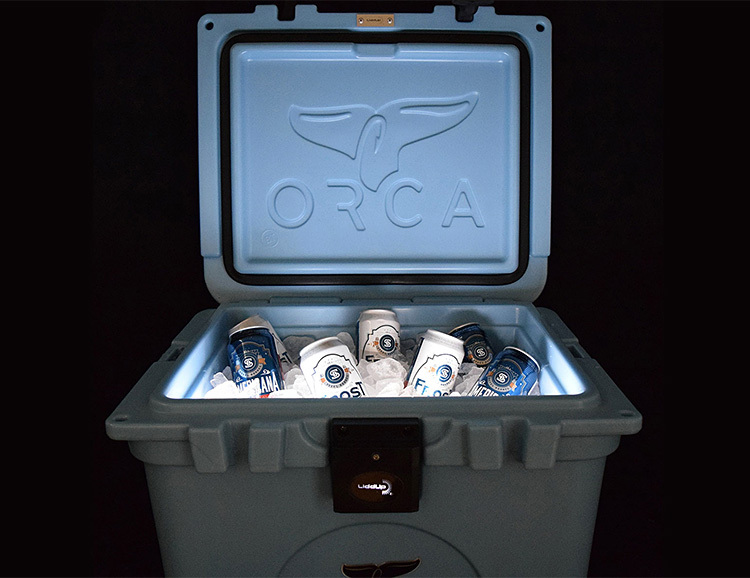 The Orca LiddUp is a premium rotomolded cooler but unlike yours, this one has LED light strips inside that automatically turn on when you open the lid after dark. No more blindly rummaging for that last IPA & coming up with a Pepsi. Available in 35-quart size, this cooler features the brand’s signature rubber T latch closures, nylon carry handles, and the lights run on 4 AA batteries. Made in the USA.